Fantasy? Historical Fiction? A work of art. 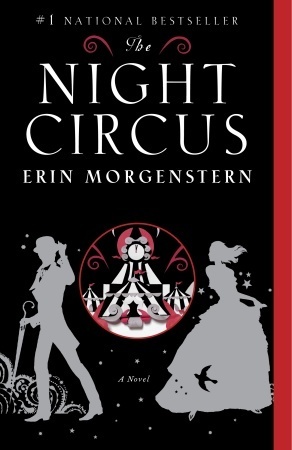 I actually am in a sort of minor reading slump, and The Night Circus was exactly what I needed. If you're the type reader who connects to places - their secrets, treasures, people, histories and so on, (think Hogwarts, Gallagher Academy) then this is your book. Right from the beginning, the story had me hooked. You're presented with different pieces, and as you keep reading it begins to become clearer how everything fits together. The mystique, the magic of the place has you completely and utterly enchanted- this of course thanks to Erin Morgenstern's flawless and unique writing. I THOUGHT the present tense would bother me, and boy was I wrong. The scenes, the sights and the smells- it all felt like it was happening right in front of me. There isn't too much background information on the challenge - this was another element I thought I wouldn't like, and again I was wrong. Understanding only part of the story kept me going, and I was provided with enough to feel satisfied. Very realistically, you feel like some things you'll never know, and maybe it's best that way. The characters were complex. The idea of the reveurs is so funny and so heartwarming and relatable and utterly RIGHT and perfect for the story that I just smiled at the very mention of them. As a reader, I had no doubt that I'd be one of them- traveling the world chasing magical nights, making friends with other enthusiasts like me, dressing to match the circus with a splash of red. So that cover is LOVELY. And-yay! Getting out of reading slumps are the BESSST! Lovely review.